Turn your Ellie May the Elephant into Big AL! 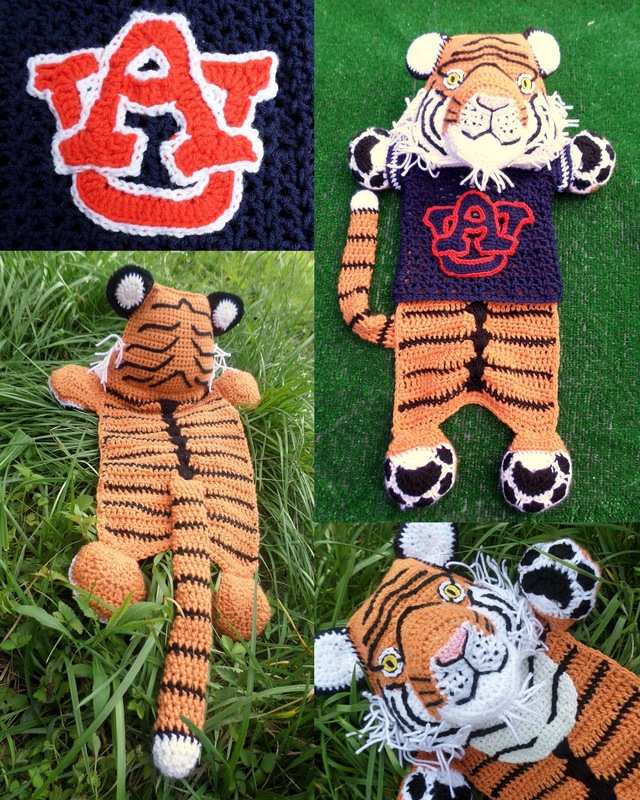 Turn your Maximus the Tiger into Aubie! NEW! 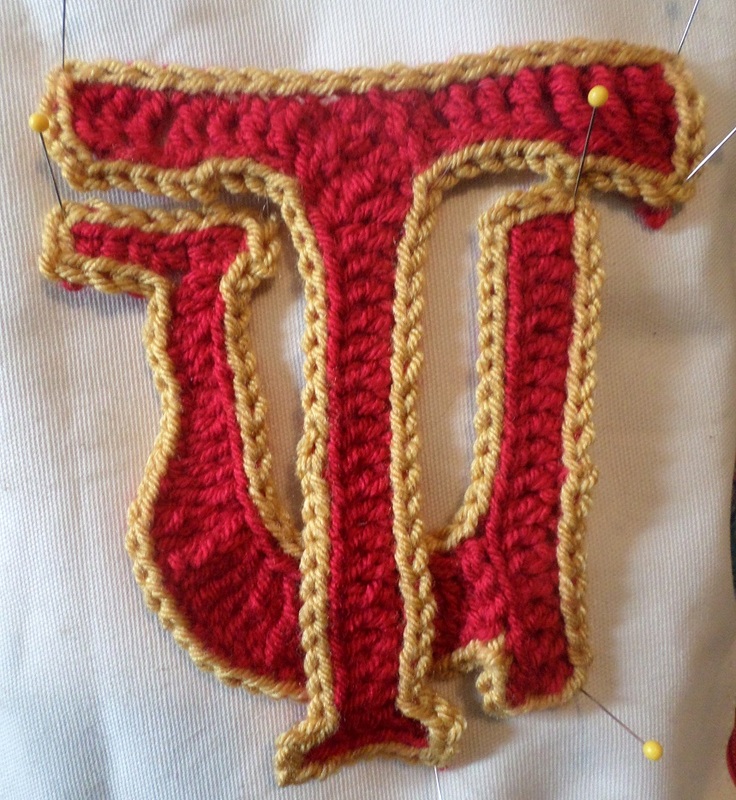 Available upon request, I have designed the Emblem for Tuskegee University. Just drop me an email and I am happy to send you a copy! 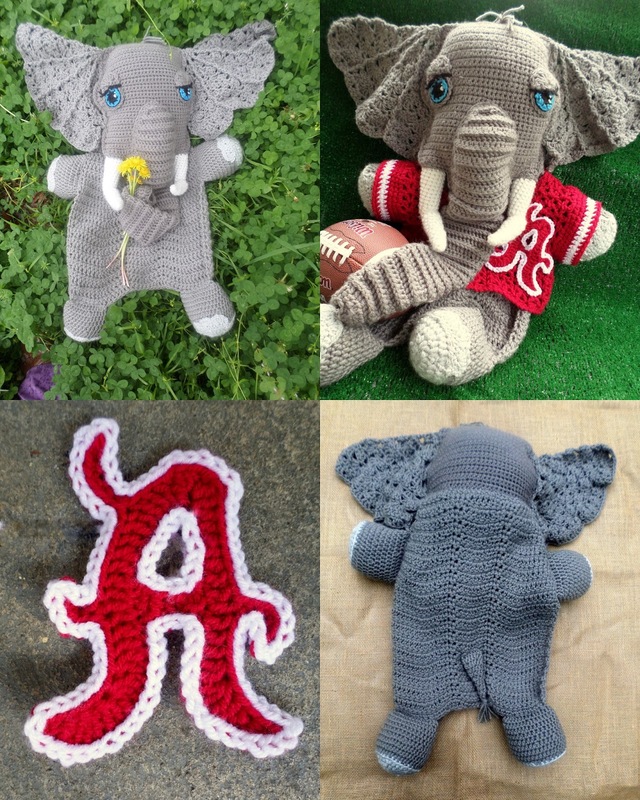 Hello, College Football Fans and fellow Alabamians! Football Season is starting soon! 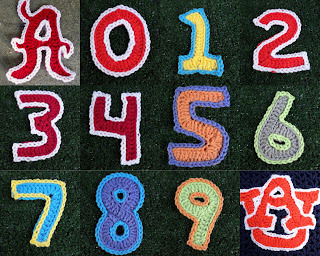 What better way to keep you busy during the pre-game shows than to sit around making these awesome Blankies with their Jerseys! 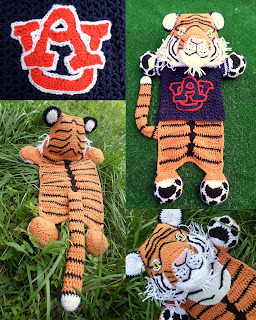 Think of all those fans young and old that would be tickled to be able to hug Big Al or Aubie! 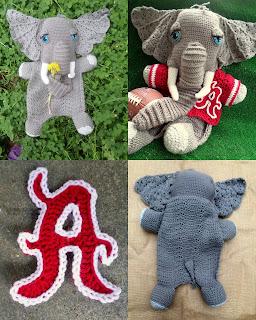 IRON BOWL JERSEYS is available for FREE when you buy either the Elephant of Tiger Blankie pattern! And guess what?!?! If you have already bought them, it's still FREE! AND the numbers and emblems are made to be extra special fast! You are just making one long chain and working into that chain then adding the border around the outside. EASIEST numbers ever! Jersey will be automatically subtracted. Available in a special 3-pattern pack! will be 3 separate files to download. Have other ideas how to use the numbers of Team Emblems? I make no claim of rights to or association with the University of Alabama, Auburn University, their respective sports programs, any mascots or symbols associated with any sports team, The National College Athletics Association or The South Eastern Conference. 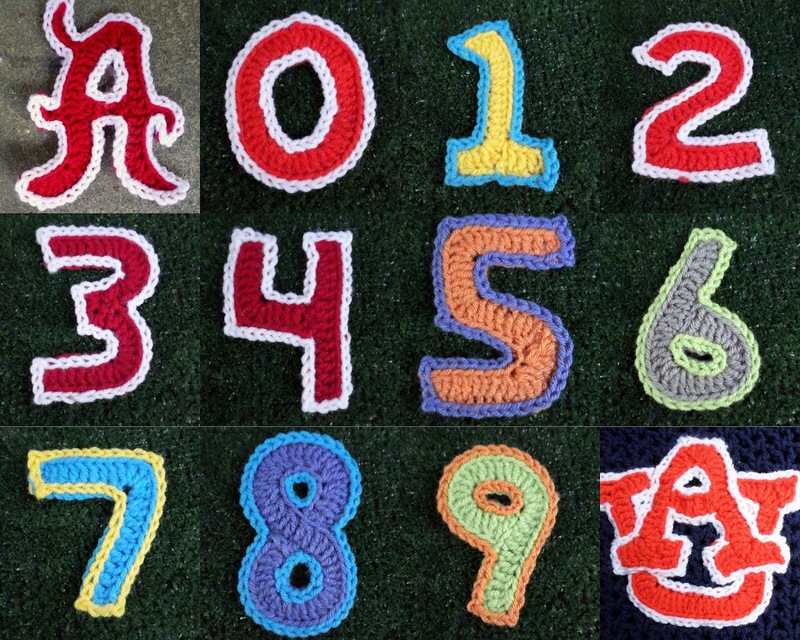 These patterns are intended as tribute by a fan and the designer is charging only for intellectual property, personal time, materials in testing, and crochet knowledge. No copyright infringement intended.